Wade has a Bachelor of Business Degree from Central Queensland University. He has worked in the practice since 1998 and became a partner in June 2001. Prior to joining Arthur M Smith & Associates Pty Ltd, Wade worked as an Assistant Manager at the Bank of Queensland. He is a member of the Institute of Public Accountants and has achieved Fellowship (FIPA) with the Institute. His main interest is in client wealth creation and business development through strategic planning. He has a diverse client base across several industries and is keen to help his clients grow and succeed as well as providing them with the best possible taxation and accounting advice. Wade can offer his clients a variety of specialist skills including assistance with tax planning, establishing business and structures, financial and general business management, business valuations, business finance. Specialising in business and individual taxation preparation, planning and advice, he is known for his personal and direct approach. Wade enjoys working closely with clients to ensure all their taxation needs are met and their business is managed effectively. Kathy is a Tax Consultant and Bookkeeper who joined the firm in July 2009 when Arthur M Smith & Associates purchased the accounting practice of WM K Walker and Associates. She brought 27 years of practical experience with her and is a JP(Qual). Kathy’s experience provides an outstanding foundation that enables efficient preparation of tax returns for individuals, partnerships, trusts and companies. Kathy has a very thorough understanding of GST and income tax as well as ATO policies and procedures. 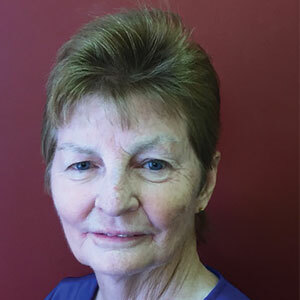 Kathy can assist clients with all aspects of bookkeeping including BAS, PAYG, Payroll, Superannuation, Accounts Payable, Accounts Receivable, and End of Month Account Preparation. With Kathy’s professional and life experience, she has amassed a diverse range of bookkeeping and taxation clients from several industries including primary production, transport, hospitality, retail, and construction. Kathy values client relationships. She works closely with her clients to gain a full appreciation and understanding of their bookkeeping and taxation needs. Chantal has a Bachelor of Business Degree from Central Queensland University, with an Accounting Major. Chantal’s main role is to manage the administration area and maintain client records. Her position also involves data entry and assisting the accountants. Chantal always strives for superior client service. Whether you are visiting our office, calling by phone or writing, Chantal will ensure you are looked after in a polite, friendly and professional manner. Dawn is our welcoming face who greets you as you enter our office. You will also hear her friendly voice at the end of the line upon phoning us. With over 10 years experience in Administration, Dawn takes great pride in her role. Dawn always ensures she puts in every effort into assisting our valued clients. Dianne has been involved with the firm since its inception in 1983. She currently works casually, assisting where needed. Client satisfaction is important to Dianne. Murray was educated at the University of Queensland where he completed a Bachelor of Commerce Degree and Diploma in Education. During his 30 years as partner of Arthur M Smith and Associates, Murray has developed many close working relationships with clients and consequently has a great insight into many of the issues faced by small to medium businesses. He currently works casually as a tax consultant.